In October 2012, the IFC lent Bank Tabungan Pensiunan Nasional Tbk (BTPN) $100 million to finance small and micro enterprises, including women entrepreneurs. The financing, which was six times the amount IFC provided to BTPN in 2009, marked a significant milestone for the Indonesian bank. But just a few years earlier, BTPN President Jerry Ng faced the dilemma of how to grow the business and continue its social mission through microfinance. The key question: Should BTPN expand its micro-lending services for base of the pyramid businesses and other low-income customers given the backlash the industry was facing? Remember, this was a time of crisis for microfinance institutions MFIs, as many borrowers defaulted and each day brought new stories of predatory lending practices around the world. It was a prudent question for bankers, especially one the size of BTPN, which today has a market capitalization of around $2.8 billion. How Ng managed that decision-making process and how the bank continues to service low-income borrowers is the subject of the winning case in NextBillion’s Case Writing Contest. The case, “BTPN: Banking for the Bottom of the Pyramid in Indonesia,” was written by R. Ryan Nelson, professor of commerce information technology, Carl Zeithaml, dean of the McIntire School, and alumnus Gardner Bell, all from the University of Virginia’s McIntire School of Commerce in Charlottesville. The first place team will receive $3,500 in prize money. This year’s competition is sponsored by the Citi Foundation and administered by GlobaLens, publishing division of the William Davidson Institute at the University of Michigan. Zeithaml explained that the concept for the case began when he met Ng in 2010 in Jakarta. The University of Virginia’s case and the other 2013 winning cases have been edited and published by GlobaLens, and are now available at the links included in the descriptions below. A team from Grand Valley State University’s Seidman College of Business in Grand Rapids Michigan won second place and $2,500 in prize money for their case, “Hydraid: Safe Water for the Base of the Pyramid,” about Triple Quest, which produces a low-cost water filtration system. Coming in third place and receiving $1,000 was a team from Colorado State University’s College of Business in Fort Collins for their case “Ayzh at a Crossroad: Maternal Health for Whom?” which looks at how and where to grow a social venture focused on improving maternal health in developing countries. Two honorable mention cases also have been published by GlobaLens. All of the 2013 winning cases have been added to GlobaLens’ Base of the Pyramid Collection, one of the largest available from any publisher. Each will be marketed to top business schools worldwide for adoption in business courses. This is the third NextBillion Case Writing Competition, which recognizes and publishes the strongest case studies about business strategies aimed at alleviating poverty. We took a year off in 2012, and when we started it up again I was a bit nervous we would nervous that we wouldn’t be able to regain the momentum from the previous years. But this year’s competition attracted the largest group of students and professors to date, with more than 150 people entering individually or as part of a team. Entrants represented more than 50 universities and 11 countries. Clearly there is widespread demand from professors and their students for rigorous case studies and research that pulls the curtain back on what it takes to build and sustain a successful social enterprise. I’m proud that NextBillion, in concert with contest sponsor Citi Foundation and GlobaLens, can help to serve as a platform for sharing this knowledge. We also should give a tip of the hat to the judges who gave their time and thoughtful consideration for the finalists. They included Robert Kennedy, executive director of the William Davidson Institute at the University of Michigan; Hui Wen Chan, impact analytics and planning officer at the Citi Foundation; M.S. Krishnan, Accenture professor of computer and information systems at the University of Michigan – Ross School of Business; and Stuart Hart, Samuel C. Johnson chair in sustainable global enterprise and professor of management at Cornell University – Johnson School of Management. Thank you to everyone who participated in this year’s contest. Case Summary: BTPN is a mid-size bank in Indonesia with a successful business model that also creates positive social change (following its mission to “Do Good and Do Well”). Bank President Jerry Ng is faced with the dilemma of how to grow the business; e.g., whether or not BTPN should expand its micro-lending to include the productive poor (bottom of the pyramid). The decision should be based on a comprehensive understanding of BTPN’s environment, business model, strategy and systems, while also considering feasibility of execution. Case Summary: Triple Quest, a joint venture between a manufacturing company and a private investment company, is experimenting with a number of different business models to distribute its proprietary Hydraid® water filtration system. Although they have used both non-profit and for-profit business models, the company’s preference would be to develop a for-profit model that would support entrepreneurial activity within the base of the pyramid (BoP) markets. The case discusses the worldwide water crisis and the international organizations involved in addressing this crisis. The case narrows its focus to examine the conditions in Ghana, both in terms of the need for clean water and the entrepreneurial environment. Case Summary: The case outlines decisions on how and where to grow for a social venture focused on improving maternal health in developing countries. With backgrounds in engineering and science, Zubaida Bai and her husband, Habib, came from India to Colorado State University’s Global Social and Sustainable Enterprise MBA program. Their goal was to develop a social venture that would provide poverty alleviation through job creation for impoverished women in India. Zubaida and Habib believed that job creation would lead to prosperity, and hence to better health, education and basic human rights for women. 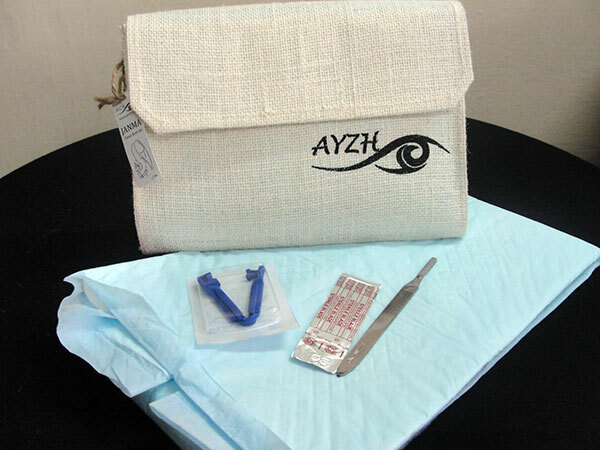 Their vision led them to maternal health and the development of a sterile birthing kit that reduced the risk of maternal mortality, while contributing to economic prosperity. This meant developing a venture around a business model that created jobs in assembling and distributing sterile birth kits, designed to lower the incidence of infection and related complications during childbirth. Case Summary: The case describes the founding and growth of Community Enterprise Solutions (CE Solutions), an NGO working at the base of the pyramid in Guatemala. The case opens with background information and some history on the founder, Greg Van Kirk. Van Kirk’s experiences as a Peace Corps volunteer in Guatemala helped him identify several opportunities for entrepreneurial businesses designed to employ local workers, attract more tourist dollars into the Ixil region, and eventually work toward community development within the region. 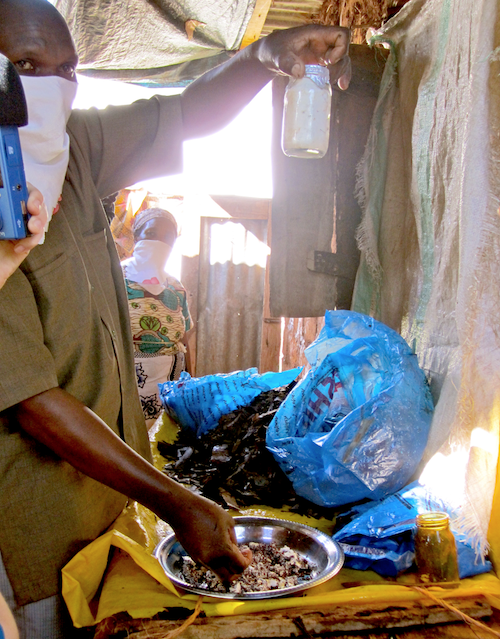 Case Summary: Simon Mkao, a part-time accountant and part-time mushroom supplier, is acutely aware of the issues surrounding mushroom production in Tanzania. His dream is to create a social enterprise with large economies of scale for farmers. Mkao has one month to write a proposal to the Ministry of Agriculture and Food Security of Tanzania to secure funding for moving forward. With more than 200 farmers dispersed across 15 villages in the Kilimanjaro region, he faces the challenge of individual versus collective action. Cultural implications are also constraining Simon’s ability to choose the most effective business model for the smallholder farmers.